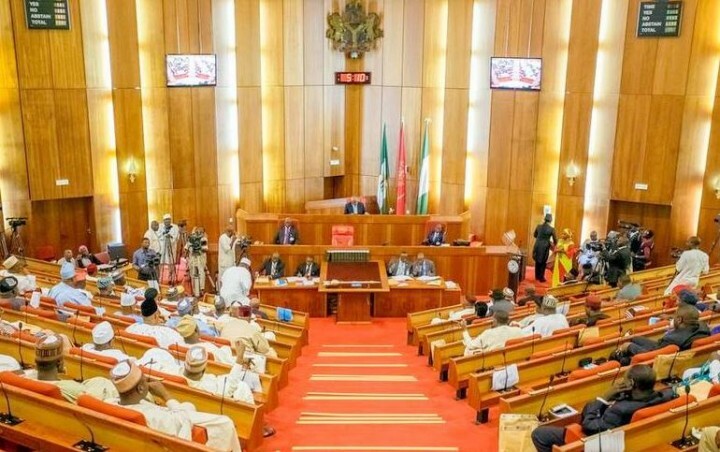 The Senate on Tuesday urged the Directorate of State Security (DSS) and all anti-corruption agencies to always comply with the provisions of the law in the exercise of their duties, particularly while prosecuting the anti-graft war. In a statement issued by the Chairman Senate Committee on Media and Public Affairs, Senator Aliyu Sabi Abdullahi after It held an executive session to discuss last weekend sting operation by the DSS in which the homes of some judges were raided and arrests made. The Senate expressed its support for the war against corruption which is one of the cardinal programmes of the Buhari administration but warned that all actions taken outside the provision of the law in pursuit of the war will be a contradiction. It charged the DSS, anti-corruption agencies, and other law enforcement institutions as well as the National Judicial Council whose members are on the receiving end in the sting operation to always act within the confines of the law so as not to ridicule the noble objectives behind the war against corruption. “We cannot in any circumstance accept a situation where extra-judicial and illegal means are employed to pursue any state objective. Any strategy employed in pursuit of the anti-corruption war that offends or is contrary to rule of law or seek, appear or is perceived to compromise the independence of the judiciary is unacceptable to the Senate. “Any strategy employed in pursuit of the anti-corruption war that offends or is contrary to rule of law or seek, appear or is perceived to compromise the independence of the judiciary is unacceptable to the Senate. “Once again, we need to remind all agencies of government not to operate outside the mandate provided for them by the law of the Federal Republic of Nigeria. Any action contrary to the law will give a bad impression of our country to the international community”, the Senate stated. “Any action contrary to the law will give a bad impression of our country to the international community”, the Senate stated.